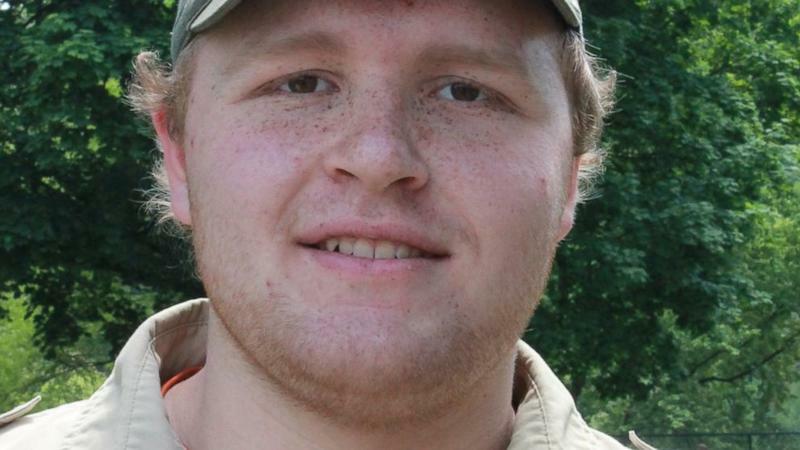 Noah Cornuet was a gentle giant and the ultimate Boy Scout. He was so committed to scouting that he was determined to ascend to the highest rank any Boy Scout could achieve: Eagle Scout. Noah, 16, never realized his dream. On Aug. 6, the high school athlete from Lower Burrell, Pa., collapsed after football practice and died. It was later revealed that Noah had a rare heart tumor. He’d had no symptoms and there was no indication that he had a heart condition, his family said. At the time of his death, Noah was deeply involved in his Eagle scout project –- improvements to the grounds of Puckety United Presbyterian Church in Lower Burrell. In Noah’s honor, his scouting troop –- Troop 180 of Tarentum, Pa. -- got together on Saturday to finish Noah’s work in the hopes that he’ll be awarded the Eagle scout rank posthumously. More than 80 people participated on Saturday, repairing and painting run-down sheds, painting signs in the church parking lot and finishing work to the grounds. With the help of his older brother, Shane, and his father, Noah had already placed mulch church grounds and removed an iron backstop from the defunct softball field. He used the money from recycling the 900 pounds of removed steel to fund the rest of his project, Raymond Cornuet told ABC News today. Noah had also laid two military tombstones at the church cemetery, Cornuet said. Cornuet, who himself earned the Eagle Scout rank, said scouting was important to his sons. Shane became an Eagle Scout two years ago. Scouting takes a young man and teaches leadership, citizenship and responsibility, Cornuet said, and the idea that Noah could earn his Eagle Scout rank posthumously means a great deal to the family. “I’d be as proud as possible,” Cornuet, 55, said through his tears. He is grateful that the troop rallied around his son’s memory. The family has experienced unusually hard times recently. Two weeks before Noah’s death, Ray Cornuet’s father died. Noah’s leadership and kindness, even in such a short life, have left their mark. Cornuet said his family has received nearly 300 condolence cards from people all over the country. Earning the rank of Eagle Scout is hard work. It requires the completion of numerous merit badges and several letters of recommendation, in addition to the completion of the final project, Melvin Peck, Troop 180’s scout master, told ABC News. It’s because Noah had done so much of the work in advance that made it possible for a posthumous Eagle Scout rank to even be considered, said Peck, who added that only four percent of boy scouts ever become Eagle Scouts. The final step is a board of review that must sign off on the achievement. The board will meet to decide Noah’s application on Wednesday, Peck added. Noah was a sophomore at Burrell High School. He loved football and wrestling, and was considering going to trade school later this year to learn tool and die work, to be followed possibly by college afterward, his father said. “The one thing that hurts us the most is that every parent can see when their child goes from being a child to a young man, and we could start to see how Noah had grown and was starting to develop into a fine young man and it’s a shame the world will never know what we knew,” Cornuet said.